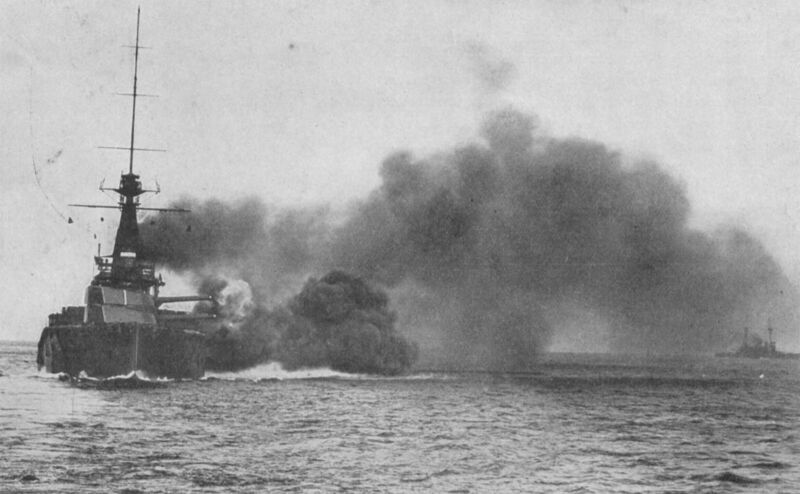 Fired two salvoes after the deployment at the leading König which then dropped from view. She claimed a strtaddle but actually hit König in the No, port 5.9" casemate gun. 18 boilers driving steam turbines and 4 shafts.. Rated at 27,000 shp.